Reduce the opponent by 50. Flip a coin. If tails, does 10 damage to itself. Flip a coin. If heads, the Defending Pokémon is now Paralyzed. 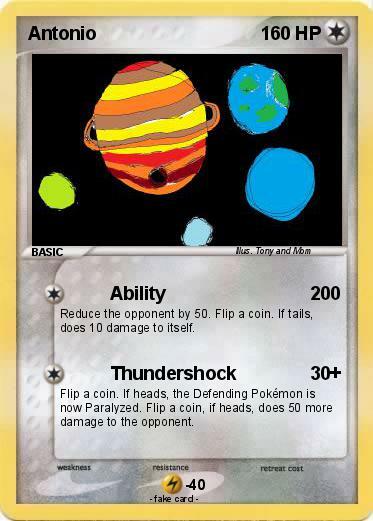 Flip a coin, if heads, does 50 more damage to the opponent.